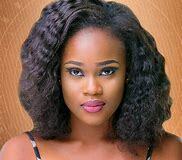 BBNaija2018: Cee-C’s Waec Result Hits The Internet. Her Grades Would Shock You! Waec result of BBNaija housemate Nwadiora Cynthia better known as Cee-C has been Leaked online.